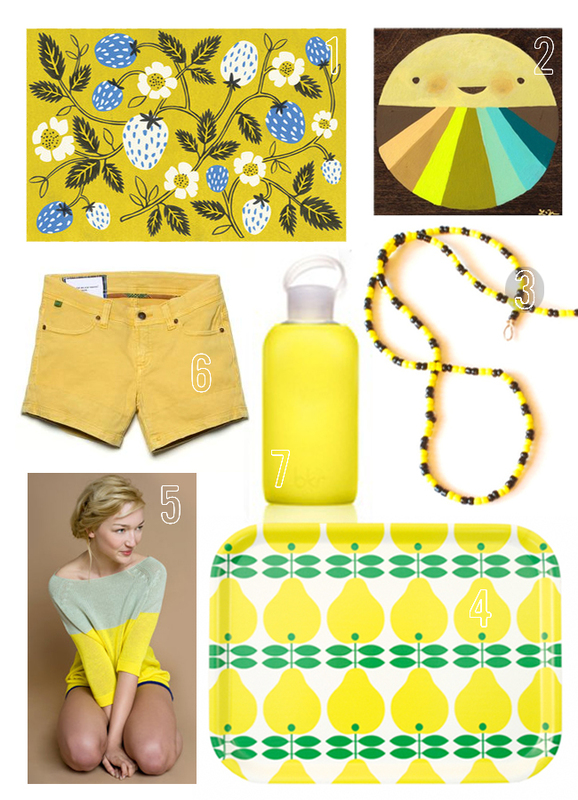 The last few weeks I have been more and more attracted to yellow. I am not sure exactly why, but it sure does put me in a happier mood, and that sure helped with some life changes I've been adapting to over the last few weeks. Or maybe, yellow reminds me of a good friend of mine who is moving from Ohio to sunny California. Either way, I think a little extra yellow in your life isn't a bad thing. In fact, I have been wearing a pair of yellow earrings that I purchased in Paris more and more because it puts me in a better mood. Here are a few things that could add a bit of pizazz to your everyday life. **all pictures are taken from respective websites stated above.